At a time when the economic climate of the UK is in a state of recession, saving money is more important than ever. Driving has never been a cheap aspect of life, and unfortunately it’s probably at its most expensive currently in terms of fuelling and servicing and MOT costs. Used cars always have been and always will be the cheapest option, but the fact of the matter is that many people just won’t go for it – they favour a brand new automobile, regardless of the added expense and diminished residuals. However, buying a new vehicle outright is not a viable option for many, and so financing is becoming ever more popular. So what is the cheapest you can pay to finance a car? Well, as the automotive industry has found out over the past 12 months or so, Dacia is single-handedly redefining the concept of budget motoring. And guess what? The Dacia Sandero is now the cheapest car to finance in the UK. It is available at the incredibly affordable price of just £69 a month, for 48 months, with a deposit of £1,845. There is also the option of paying £99 a month for the same period with a deposit of just £600. 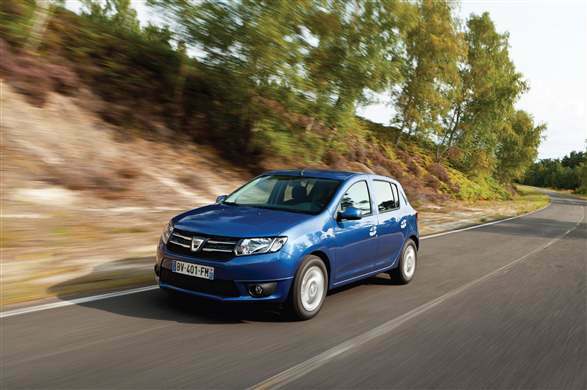 At £69 the Sandero represents a bill of little more than most people pay for their mobile phones. Similar deals are offered on the Duster SUV, which is available from £99 per month. Both models are due for availability in the UK in early 2013 and come with a 3 year/60,000 mile warranty as standard. Page created on January 26th, 2018 by admin.